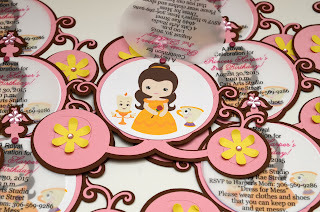 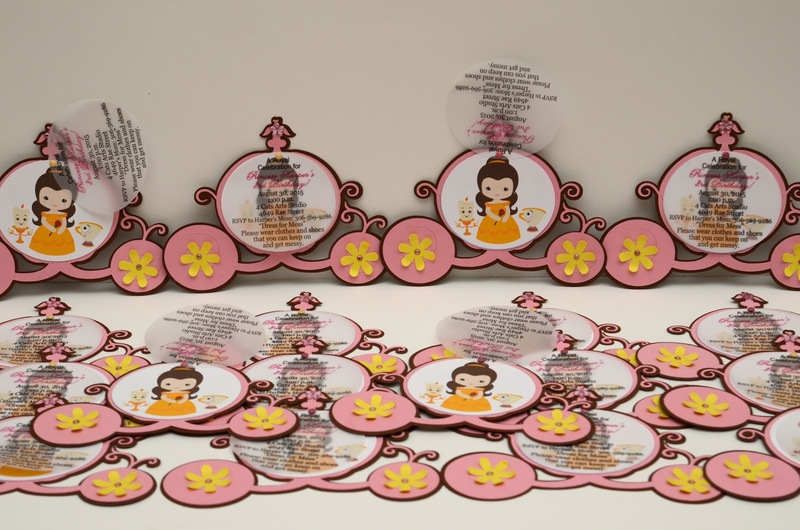 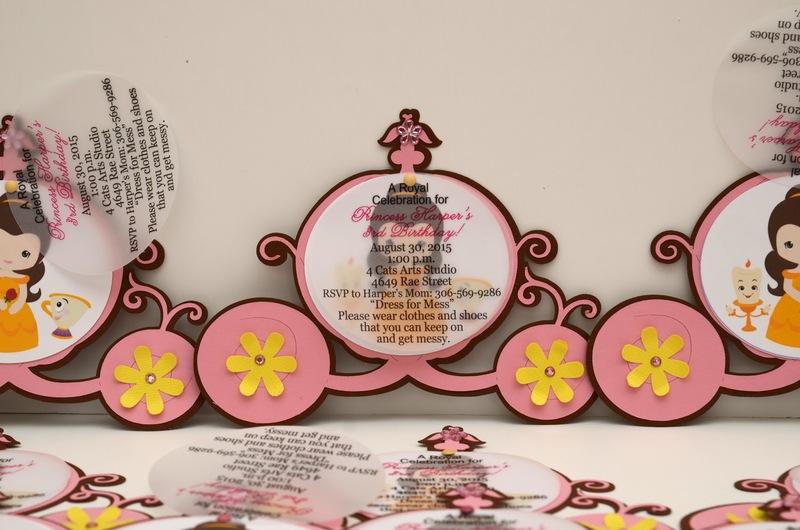 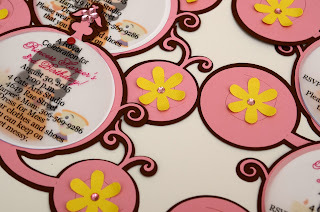 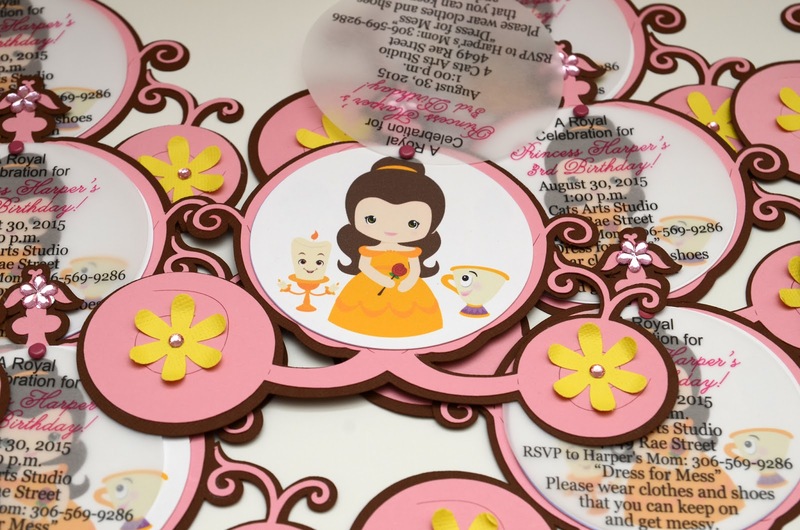 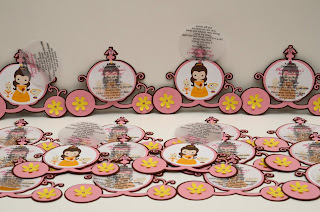 Disney Princess Belle invitations! 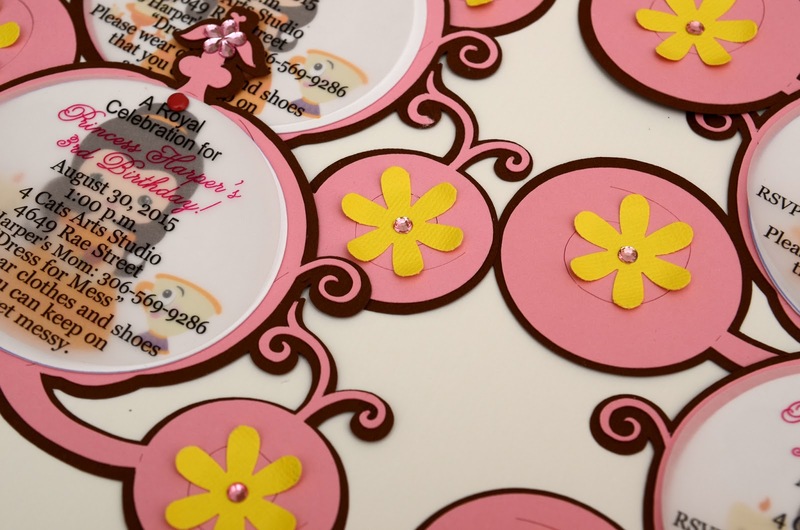 Pink carriage with yellow flower wheels. 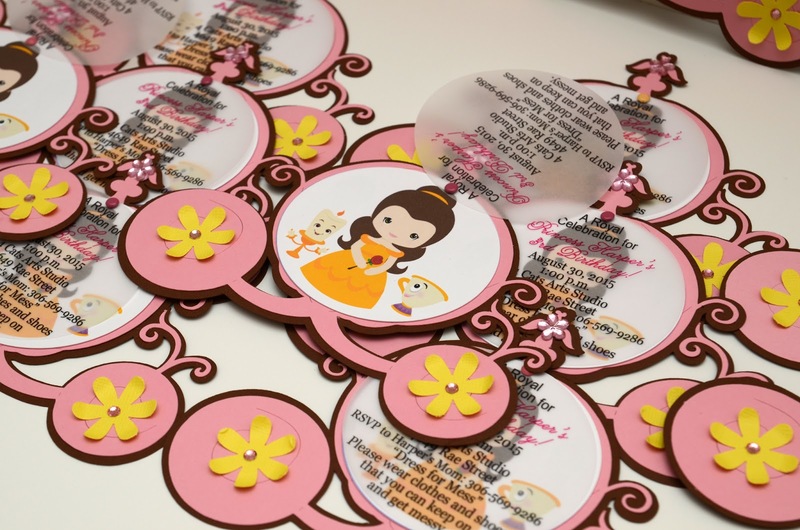 Belle character as a background. 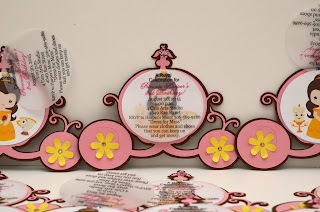 Princess Character and carriage color can be customized. It can be used as Cinderella, Snow white and other princess party.